PCWin Note: SureThing CD Labeler 5.0.569.0 download version indexed from servers all over the world. There are inherent dangers in the use of any software available for download on the Internet. PCWin free download center makes no representations as to the content of SureThing CD Labeler version/build 5.0.569.0 is accurate, complete, virus free or do not infringe the rights of any third party. PCWin has not developed this software SureThing CD Labeler and in no way responsible for the use of the software and any damage done to your systems. You are solely responsible for adequate protection and backup of the data and equipment used in connection with using software SureThing CD Labeler. Geovid DVD Copy - Geovid DVD Copy is user friendly DVD,CD burning tool. When you need to back up something or to burn CD\DVD you are running some soft with a lot of settings that so hard to understand. 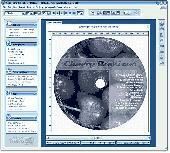 DVD Copy is a very easy to use, powerful and flexible software. DVD Firmwares and Drivers - DVD Firmwares and Drivers is a freeware program to check, download and update firmware of ATAPI/SCSI/USB/FIREWIRE burner device under Windows operating system. Supports DVD, CD and BLU RAY burners. SurroundCast - SurroundCast is a Digital Surround HD Radio Player- with over 1000 Digital stations! Featuring iPod support and advanced SRS WOWXT - Circle Surround II- and Spatializer technology- Users can experience 6.1 Surround even with 2 speakers!